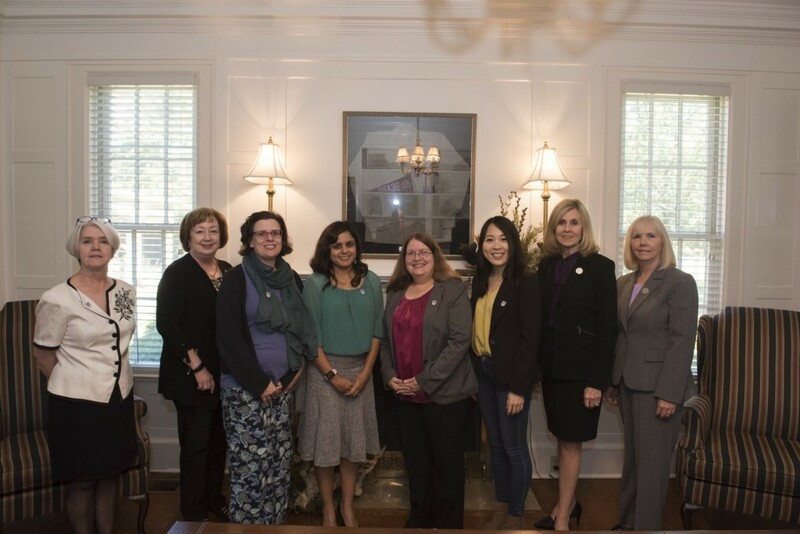 The Women’s Giving Circle at the University of Central Arkansas awarded five grants that focus on development opportunities for women and girls. Established in 2014, the Women’s Giving Circle is a group of alumnae and who accept annual grant applications to benefit areas that provide unique learning and leadership development opportunities that will enrich the lives of women. The Women’s Giving Circle received nine applications and awarded five grants for the 2016-2017 academic year. The grants range from $500 to $1,700. The grant will be used to host a lunch for senior female College of Business students. They will be matched to a female community leader by based on their department and/or disciplinary field for one-on-one and panel discussions. The grant will be used to host the C.D. Women Writers Conference with the focus on female writers from all genres and experience levels and from journalism to mass market books and beyond. The grant will be used to develop a peer educator program between the Department of Health Sciences, the College of Health and Behavioral Sciences and the UCA Police department to develop student leaders on campus to increase knowledge and awareness about sexual violence prevention and personal safety. The grant will be used to host a day of celebration of women in science, technology, engineering and mathematics (STEM) where students will have one-on-one discussion with professionals with various STEM backgrounds. The grant will be used towards hosting the “Each One Reach One” Mentorship Academy designed to help state-wide mentors give young women in poverty the encouragement to not only recognize their potential, but to also fulfill their potential through the development of life-skills necessary for success.